The Century Orginal Wavemaster Freestanding Punching Bag is perfect for someone who is just getting into training with a punching bag or a heavy bag (aka beginners). Its adjustable height allows for great versatility so you can train punches, speed, footwork, kicks and grappling (if you feel so inclined). 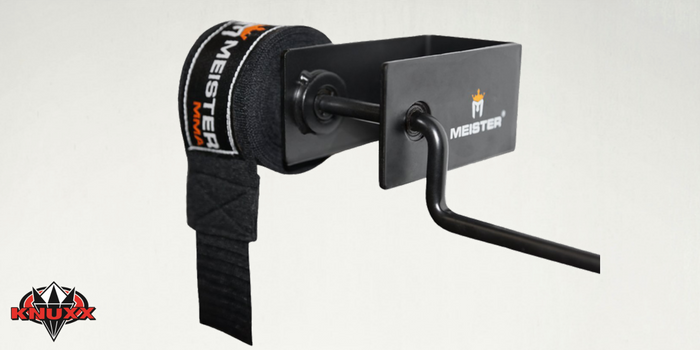 Rating: We’ve given the Original Wavemaster Punching Bag a 4 star rating. Being the first is sometimes good and the Original Wavemaster was one of the first pedestal bags around. It works as designed but they have improved upon the design and if you’re a bigger adult you should look into the XXL Wavemaster Bag. 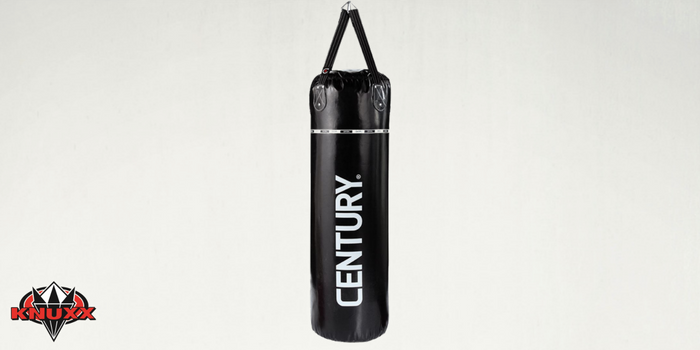 The Century Original Wavemaster Punching Bag is one of the first designs in a series of free-standing heavy bags from Century – that’s why it’s called the Original. The large base offers a sturdy foundation for fairly substantial strikes and can be filled with either sand or water (a waterbed filling & drain kit is recommended if using water). It weighs well over 250 lbs. when full of water so it provides a stable base as you workout with ample resistance and a quick rebound. You have to hit this pretty hard to topple it over but heavy kicks should be avoided. One of the biggest benefits to a free-standing punching bag with a round base is that it’s fairly portable & easy to store (albeit heavy). You can lean it over and roll it into position. With a pedestal heavy bag, you don’t need to drill holes in your ceiling or buy a heavy bag stand like you do with a traditional handing heavy bag. Another great advantage to the Wavemaster is its adjustable height. 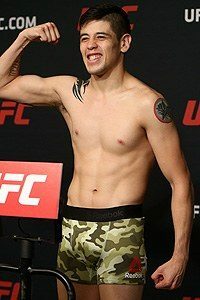 You can raise or lower the striking surface to practice different techniques as well as customize it for your specific style. There are seven height adjustments starting at 47″ and going up in 3″ increments. At full height the top of the bag reaches 68 inches. The Original Wavemaster’s vinyl cover and foam filler provides a durable striking surface and ample cushion. The punching surface is about 13″ in diameter which is plenty of surface area for landing strikes. The base is low enough to the ground and heavy enough when filled that we didn’t notice much rocking when struck with a normal training force. However it’s not built for larger, more experienced (and more powerful) fighters as it does rock significantly with force. The smaller base (24″ diameter) makes it more portable as well as versatile since you can move the training bag where you need it and work on footwork by dancing around it. It comes with a one year warranty from Century. Most people buy a heavy bag because they want to get a great workout. But some people don’t have the room for a hanging heavy bag. For that reason pedestal bags were created and have become very popular due to their versatility and semi-portability. With a free standing pedestal bag you don’t really have the same weight considerations that you do with a hanging heavy bag. You really have to look at a couple things – cover, filler and height. The filler is what will take all of those strikes so you want something that is durable, has a realistic feel, is uniform the entire length of the bag but is forgiving enough that you don’t injure yourself while working out. Cover and fill contribute to the next thing we look for in a heavy bag test – durability. How long will the bag last and will it work today and in three years? Height is determined partially by your height and secondarily by the type of activity you want to do with the bag. If you are taller and plan on kicking the bag then you will look at the taller bags. PROS: Easy roll relocation, fill the base with sand or water, quick setup, great value. As one of the top selling heavy bags OF ALL TIME the Century Original Wavemaster punching bag deserves a careful look and testing. We were initially impressed with the fact that this bag as been around for so long. It spurred many of the copycat designs available today. The heavy base and adjustable pedestal make for a non-permanent option for athletes who want a good workout but don’t have a spot for a hanging heavy bag. But just because it’s not permanent, don’t think that this bag lacks performance. 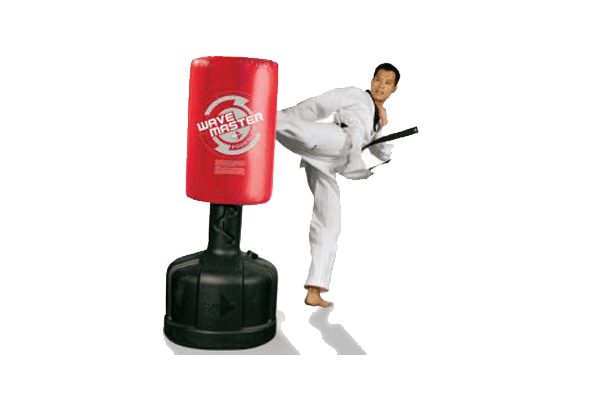 Designed with a weighted base that can be filled with sand or water (we recommend water), there is enough stability to allow you to punch, work combinations and throw an occasional quick kick. Attached to the base is a solid plastic post around which is wrapped a high density foam that is then surrounded by a heavy duty vinyl outer shell. This basic construction makes up the Original Wavemaster. There isn’t much to it – heavy base, sturdy post, foam punching surface. The foam filler gives you a nice, consistent punching surface that seemed to work in quickly. And the vinyl shell is thick enough to give you a nice sound when you hit it. Of course we have to mention the fact that the post has an adjustable height that adjusts in 3 inch increments. We found this very helpful when working different techniques. 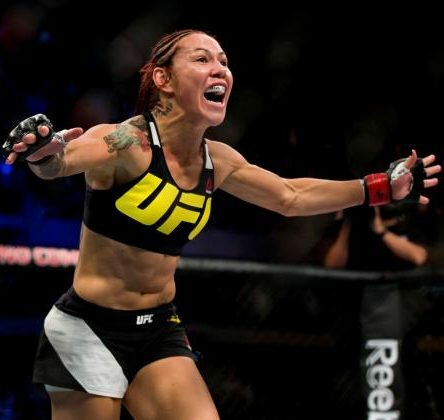 If you want to work high punches or even higher kicks you can raise the punching surface to a maximum of 68″. We did find that the higher you raise it however, the louder it becomes and the more unstable it is. In fact, that’s one of the biggest complaints about this bag – the noise. It’s loud to hit it, it’s loud to kick it and it’s noisy when you move it around. If you live in an apartment you’ll have to be careful when working out. The bag sells itself as being “movable”. That’s true to a point. The 24″ round base makes it so you can tilt the bag over and roll it to a new place but it’s still very heavy. Combined weight is between 200 and 270 lbs full depending on what filler you use. That’s heafty. One thing to note is that the base is a bit lighter when you use water instead of sand. If you use sand you’ll have to plan on purchasing about 240 lbs worth to fill it up (that’s like six 40-pound bags)! The main reason we hate sand is that it’s messy and filling (and draining) the base takes a lot longer. Again, we recommend water but you’ll probably want a waterbed filling & drain kit to make the job go faster. We like that this bag is simple to setup and has a small footprint. We don’t like that it’s noisy, somewhat unstable and messy. We recommend this bag for kids of all ages, smaller punchers and adults who will use it for cardio or quick punches. Too much power is loud and too much work to be worth it. If you need a pedestal bag then taller, heavier and more experienced fighters might do better with the Century XXL Wavemaster Bag. 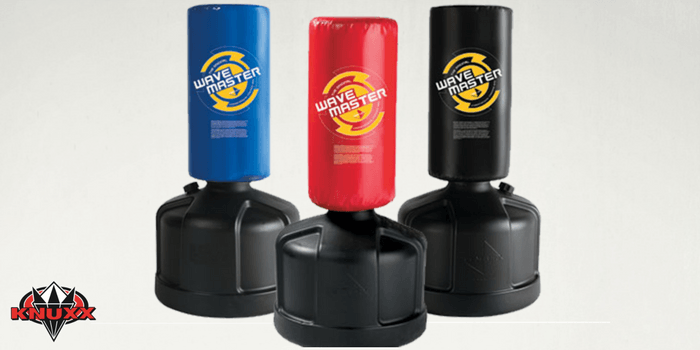 Who should get the Original Wavemaster Punching Bag? The Century Orginal Wavemaster Freestanding Punching Bag is perfect for someone who is just getting into training with a punching bag or a heavy bag (aka beginners). It’s adjustable height allows for great versatility so you can train punches, speed, footwork, kicks and grappling (if you feel so inclined). Its would be a good punching bag for home use or use in a garage since it’s fairly portable. It would also be good for someone renting a house or apartment since it allows you to train without drilling or mounting in any way. Larger athletes (above 6′ tall) or really powerful heavy hitters. 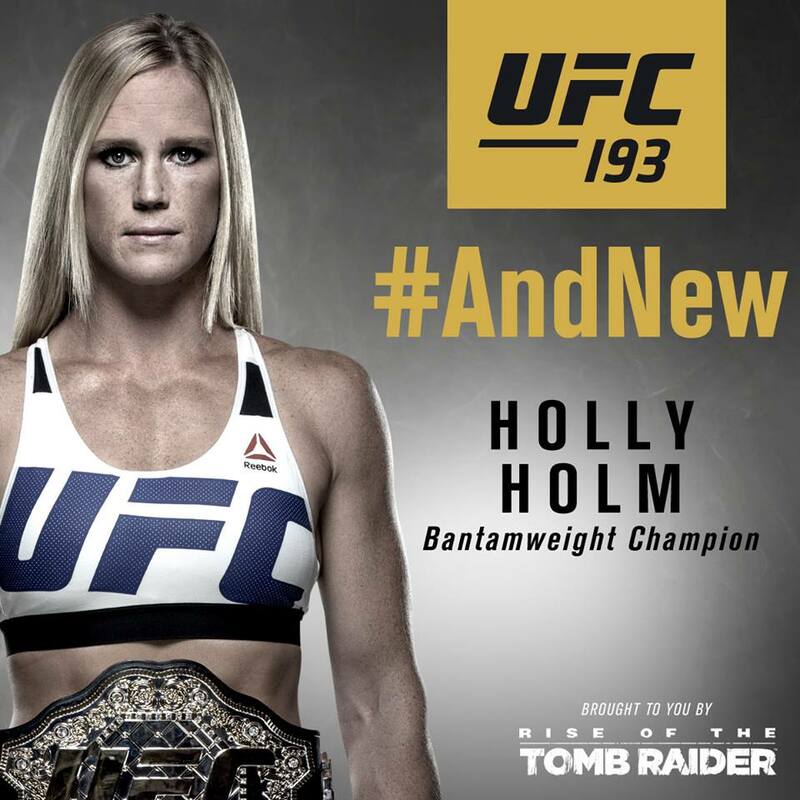 This bag is designed for smaller/average fighters & trainers. You should also note that the Original Wavemaster punching bag isn’t quiet. If you do buy it for apartment use you should be aware that the higher the punching surface is raised the louder the bag becomes. If you live in an upper floor you might disturb your neighbors. Potential buyers should also know that it is okay for practicing quick kicks but not heavy, powerful kicks. It’s just not designed for that. This is an individual product review for the Original Wavemaster Punching Bag, if you want to read about the best Pedestal Bags, then you need to check out our Best Heavy Bags Review. This is the summary for this item. I was searching all over for a bag that I could use in my small house. I didn’t really want to put any holes in the ceiling so I searched for something that wasn’t a hanging heavy bag. That’s when I came across this review for the Wavemaster pedestal bag. Looks like this will work for me. I’ll report back and let you know how it goes!